You have the right to choose your own Title Insurance provider. Don´t be forced to use a company with which you have no control over the fees. You have the right to save Money. You have the right to Dream Big and Shop Smart. Click here for your Certificate of Consumer Choice. At MyTitleDirect.com, we not only issue title reports and policies, we rise to the next level to ensure that the funds in your transactions are protected. 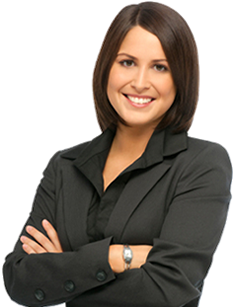 We only do business with attorneys and banks that have passed through our "Gold Standard" certification process. Understand The How´s and Why´s of purchasing and closing on a purchase. Learn the common terms and what Title Insurance really is and how it protects you. Understand The Steps in the refinance process and how it works. The Best Choice Starts with the ability to choose. Learn More Here. "DREAM BIG" but "SHOP SMART"
I saved over $ 500.00 on my refinance and got straight answers. MyTitleDirect.com saved me time and Money. Professionals working for me made all the difference. My purchase went smoothly and I saved over $ 600.00. I would recommend MyTitleDirect.com to all my friends purchasing homes. Title services in New York provided by Title Land Agency, Inc. Titles in New Jersey provided by Title Guarantee, Inc. This site is intended for the sole use of consumers who intend to purchase title insurance services directly.